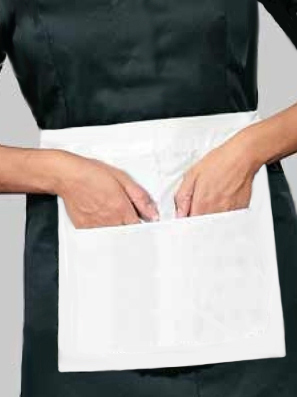 Wonderfully elegant short bib apron with a pocket for comfort ! It makes a big bow at the back! You can order this super apron in many wonderfully glossy fabrics and colours and also with all around lace trimmings with white or black lace. The matching stunning dresses and many many more wonderful products are also available in our shop.